In 1963, an idea came about, to support our student-athletes with the facilities and resources that they needed. Spear-headed by Head Football Coach, Stan Sheriff, the group called "The Century Club" made a goal to get fans to donate $100 each. As the first fundraising campaign came to a close, 100 people had contributed a total of $6,000 to the UNI Athletic Department. Shortly following the inaugural fundraising season, avid Panther fundraisers became known as part of The Athletic Club. 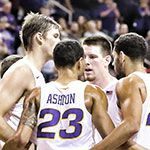 The Athletic Club was established to ensure participants in collegiate athletics at UNI all have the opportunity to cherish success both in the classroom and on the playing field. Today the Panther Scholarship Club is leading the charge in fundraising for the University of Northern Iowa Athletic Department. With more than 1,800 active members and over $1.52 million in cash donations and $500,000 in gift in kind we are able to support our student-athletes on the field and in the classroom. In 2013 the Panther Scholarship Club celebrated 50 years of fundraising for the UNI Athletic Department, has raised over $32 million over its life span and impacted over 20,000 student-athletes. Parking for FB, MBB, WBB, & VB See parking map for details on locations. Opportunity to Purchase Parking Pass for McLeod Parking Lot Parking passes sold separately for FB and MBB at $200 each. Note: Pass does NOT guarantee parking in your section — first come, first serve basis. Overflow and non-season ticket holders park South of 27th St.
What is the Panther Point System? 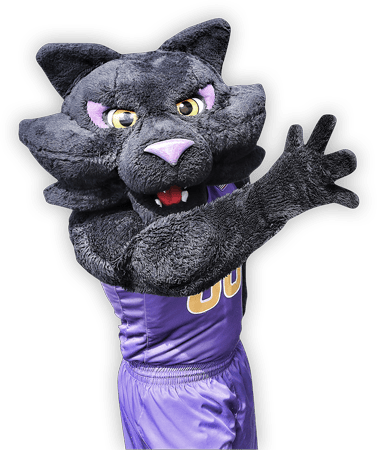 The UNI Athletics priority point system — Panther Points — is intended to promote fairness, generate support for Panther Scholarship Club (PSC) members and rewards giving. This system also provides an incentive for beginning, renewing and increasing participation as an athletics donor and season ticket holder. Panther Points allows for the objective allocation of benefits that exist in limited quantities, such as: season ticket location, away game ticket allocations, and distribution of tickets to postseason events. The system is administered collaboratively by the staff of the UNI Ticket Office and the PSC. How are Panther Points calculated? 2 Panther Points Per $100 donated to any UNI Athletics account/initiative since 1993. This includes PSC, endowments, restricted giving to individual sports accounts, and capital campaigns. 3 Panther Points For every $100 in cash donation to the PSC and/or Panther Champions. Gifts must be made within the current fund drive year (Jan 1-Dec 30). A pledge is not counted until the gift is received. 3 Panther Points For every $100 gift-in-kind donation to the PSC. Gifts must be made within the current fund drive year. A pledge is not counted until the gift is received. 3 Panther Points For each consecutive year of giving to the PSC. If you skip a year of donating, your consecutive years of giving to the PSC drops back to one year when you rejoin. 3 Panther Points For each consecutive year of season ticket purchase per sport (since 2008). This applies to the current season-ticketed sports of football, volleyball, men's basketball, women's basketball, and wrestling. 2 Panther Points For every $100 cash or gift in-kind donation to non-PSC accounts (Facilities, Endowments, Salary Enhancements). This includes any donation to UNI Athletics that does not fall under the PSC. During years of a reseat, all season ticket holders are required to select new basketball seating locations. During the reseating years, we do not offer the option of keeping the seat locations you had last year, so you must reselect seats. If your current seats are available at your time of select, you may then have the option of selecting those seats again. Why are we having a reseat? We will be conducting a reseat every 2-3 years so that donors can have the best possible seating options as a benefit of their Panther Points. The last reseat took place when the McLeod Center was built. Since that time, our donors and season ticket holders have gotten to know the layout of the arena and have expressed likes and dislikes pertaining to different areas. Reseating also allows donors to move groups together or add new seats. Many donors find a reseat is the best time to look at upgrading their gifts in order to better their seat location. This is very important for us as we must continue to raise funds in order to pay for student-athlete scholarships. A full in state student-athlete scholarship, including tuition, room, board, books and fees, is now valued at over $16,000. Without gifts to the Panther Scholarship Club to help fund scholarship expenses, our student-athletes could be negatively impacted. What comes first in terms of seating, donor levels or donor rank? DONOR LEVEL FIRST, DONOR RANK SECOND. When it comes to allocating benefits, such as a reseat or away game allocations, your PSC Donor Level will be taken into consideration first, and then your Panther Point total will be used to determine your Donor Rank within your PSC Donor Level. Your PSC Donor Level will be based on which level you pledge. This system allows the Panther Scholarship Club to more effectively reward our active annual fund donors for their loyalty and all their efforts to make our athletics program one of the best in the nation. Are Panther Points utilized in determining the location of my MVC Basketball Tournament and/or neutral site tickets? Yes. Your Panther Points total within your PSC donor giving level is utilized when allocating MVC Tournament tickets. Panther Points rankings will be awarded first by Panther Scholarship Membership Level, then by total Panther Points. Will my priority points be able to be passed down to my children? No. Panther Points have no tangible value. They are not property that can be sold, traded or given. It is simply a point total to be used as a guide for the PSC and Panther Athletics to rank donors in priority order for the purposes of seating and certain benefit allocation. In the case of death, Panther Points will automatically remain with the surviving spouse, if applicable, and will not be allowed to be transferred in any other manner. How does the reseasting work? All Panther Scholarship Club members will be ranked in accordance to the Panther Points system. DONOR LEVEL FIRST, followed by DONOR RANK SECOND. We will base your PSC Donor Level on where you pledge for 2018. The Panther Scholarship Club will then assign seat selection times based on these rankings. How do I qualify for the reseat? To qualify for the reseat, all men's basketball season ticket holders must have made a payment on their season tickets AND make a payment on your 2018 Panther Scholarship Club gift by the July 1, 2018 deadline. After the deadline, we will rank all season ticket holders according to the Panther Points system. Donor level first, donor rank second. What happens if I cannot maintain my PSC contribution next year? In order to retain the seat location of your priority season tickets from year to year, after the reseat, you MUST maintain or increase your PSC Membership Level. If you decease your PSC Membership Level, your season tickets will be subject to be reassignment by the PSC & UNI Ticket Office. How do I select my season ticket locations with my friends? In an effort to be fair to all of our PSC members, the group will be able to select their seats at the time of the PSC member with the latest selection time. Please be sure to notify the PSC office that you will be passing on your selection time so that you can pick at a later time with a friend. How do I select my seats? Select your seats in person at McLeod Center during your selection time. Designate someone to select your seats for you (a form will be included with your appointment time in which you may designate an individual). Can I designate a member of the UNI Athletics staff to pick my seats for me? UNI Athletics staff members can assist in the reseat process. You will need to provide your top 3-5 choices for your seat allocations. If those seat locations are already selected, the UNI Athletics staff member will select the best available seats near your desired location. Based on this system, if you have a UNI Athletics staff member select your seat, you will take full responsibility for the locations. When filling out the Renewal Form please check "Yes" next to Increase Level. 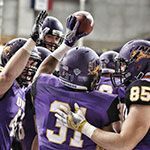 The Panther Scholarship Club Office will be in contact with you prior to the 2019 UNI Football Season. Must be turned in prior to June 30, 2019.